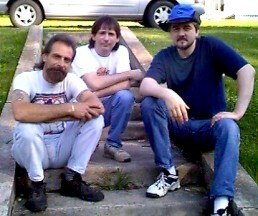 The Band Hails from Roane County Tennessee U.S.A. - A suburb of Knoxville TN. Andrew Deal - Keyboards,Guitars, Bass, Drums Backing Vocals "Arranger & Musical Director"
John LaFazia - Vocals & Flute. Hunting Girl. Beside Myself. Thick As A Brick. Budapest. Conundrum. Farm On The Freeway. Passion Jig/L.I.T.P. Jack-A-Lynn. Bouree/Songs From The Wood. Dun Ringill. Rover. One Brown Mouse. Black Mamba & Pibroch (Cap In Hand). and sometimes they actually sound more like Jethro Tull than Tull do. They Also Cover ELP and began a tribute Cd which as yet is not completed. so there are no immediate plans for any future live shows.